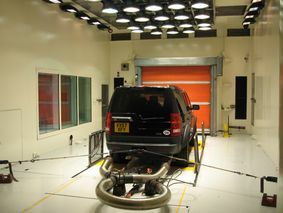 The Climatic Wind Tunnel, at the Gaydon site of Jaguar Land Rover, is one of the facilities used for product development testing. This tests vehicle performance in all the climates they will experience around the globe. 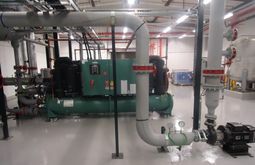 In April 2013 Johnson Controls, upgraded the refrigeration plant for this facility for Jaguar Land Rover. As -40C testing was now supported using other facilities, Johnson Controls had concerns over the suitability of the existing heat transfer fluid entering the evaporator on this climatic test chamber as the system design had changed greatly from the original requirements. The original fluid used was an Acetate based salt and was only available from the USA each time it was required. Jaguar Land Rover wanted to see if there was any other fluid that could be used that had similar environmental credentials, was readily available from a UK supplier, but more importantly could also have similar heat transfer characteristics to ensure the test chamber would perform with the existing specification of pumps and other equipment. In use the chamber can be configured for 4 wheel or 2 wheel drive vehicles and can create a maximum speed of up to 220 km/ hour. Wind speed, relative humidity, temperature and solar load can all be varied to simulate a variety of conditions that Jaguar Land Rover vehicles may encounter. Whilst it was known that Mono Ethylene Glycol would work, Johnson Controls contacted Climalife UK to see if there was a suitable fluid and to discuss the properties of those available. It quickly became clear that Mono Ethylene Glycol (MEG) would not be allowed in the system because of environmental concerns, whereas Mono Propylene Glycol (MPG) did not have the desired properties for it to work effectively in this system. Four other fluids were considered and the characteristics of each fluid was evaluated for thermodynamic properties, specific heat, viscosity, flow characteristics and thermal conductivity, with the restriction that the system had to work efficiently with the existing pump design and the test chamber needed to be able to operate between +55C and -8C. With Neil Sims, the Senior Sales Engineer from Johnson Controls liaising with Peter Dinnage the Technical Director at Climalife UK for the technical data of the fluids, Mike Jones, also of Johnson Controls, produced the computer modelling results for the potential fluids. After discussion with Climalife UK, it was concluded that Thermera® AC provided the best match of properties for this system and would be safe to the environment. Thermera® is an environmentally friendly heat transfer fluid, made from natural ingredients, water and betaine which is a natural compound produced when manufacturing sugar. It has excellent anti-corrosion properties, is non-toxic and ecologically safe. As Thermera® offers excellent thermal and microbiological stability and requires very few inhibitors its durability in use is as good if not better than some traditional fluids. New chillers, pipework and new pumps were installed, the system flushed and the secondary loop was filled with 12,000 Litres of Thermera® AC that had been supplied by Climalife direct to site in 1000 Litre IBCs. 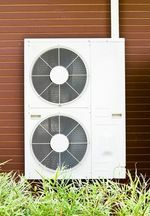 The Thermera® AC was monitored for the next three months and it has performed to expectations.